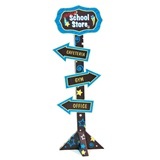 Your elementary school store is an important part of the school experience. The school store is a place full of school spirit. It’s a teaching tool for student responsibility and organization, and it can bring in members of the community to support your school. Here are five ways to keep your school store going strong until the end of the school year. If your school does not already schedule a time to do inventory, a new year is a great time to do so. By taking inventory, not only will you find out what you need to reorder and/or restock, but your students will learn valuable organizational skills that will help them later in life. 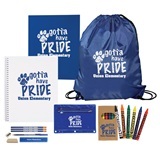 Let’s face it, without customers your school store won’t make a profit. 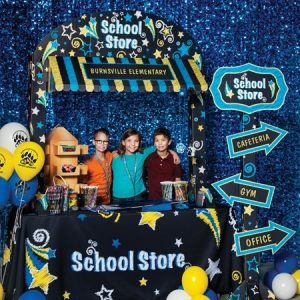 Promote your store during big school events, like Open House, a winter concert, or spring events, have people purchase their school carnival tickets in your school store, or set up a small booth at big community events. The more people you attract, the more your school will benefit. Next Post:Make Your Middle School Valentine’s Day Dance the Best Ever!